Tucked away in a hidden part of Mother Ignacia in Quezon lies a fusion restaurant that offered nothing but surprise to this writer. 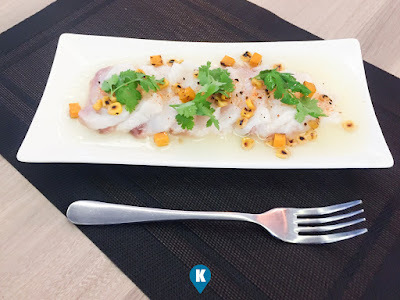 We all loved Japanese cuisine and this place reinvented it by fusing it with Latin flavor, Peruvian mainly. They call themselves Nanka. 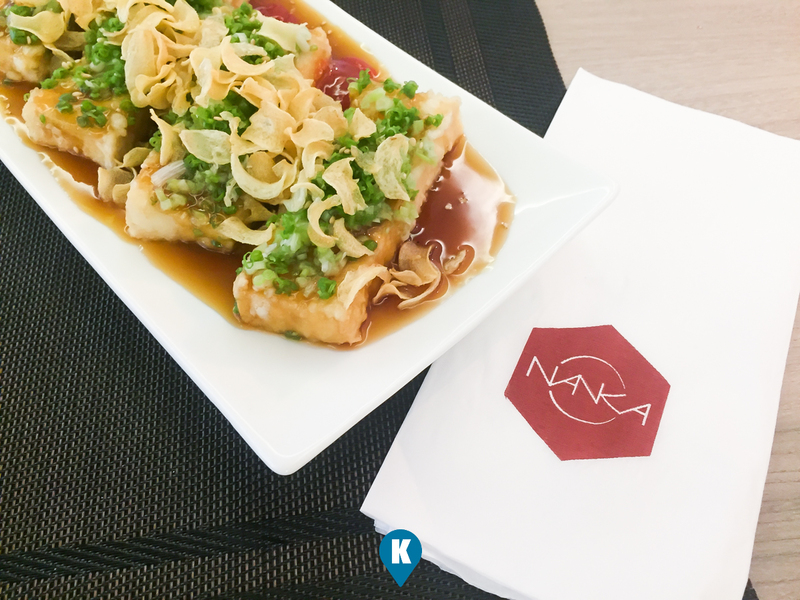 As per owner, the name Nanka is a derivative from a japanese word that translates to meaning something, so they want to offer somethingto diners from time to time. A mix of Japanese with Latin is a welcome treat for us. We were served a number of foods here from, Tuna Sashimi, Salmon Sashimi, Sashimi Pernano, and the top 5 dishes we rounded up in our graphic. To give you an idea why we chose our top 5, the Steak Fried Rice is tapsilog at first glance. 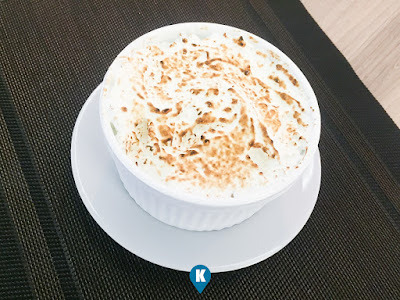 Upon serving, the server suggested that the dish should be mixed upon serving. A funny thing to do with a tapsilog I would say. We let him do the tossing and mixing and then we tasted it. I was wrong. It is not tapsilog but a semblance of Arroz ala Cubana (without the banana) but using Japanese ingredients. Shitake Pasta with Parmesan. 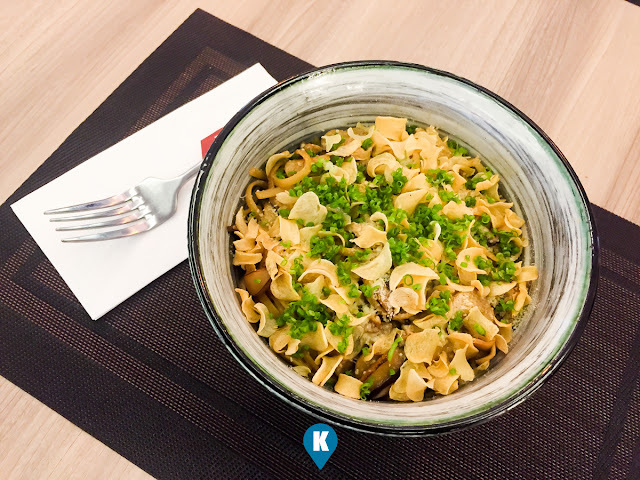 Who would have thought that a mushroom would be the main attraction in a pasta dish? Introducing 3 types of mushroom in a pasta offers something new to one's palate and we were surprised with the taste. The saute offered a kick in flavors yet does not overwhelm you. Now the Crispy Eggplant is truly a surprise for us. The vegetable that not most children love has been made into a croquette and topped with a children favorite kani salad. That's a nice twist to it. Now the lowly eggplant has been transformed into a delectable and favorite dish for us. The crispiness added to the surprise and the crunchiness made our dining experience a little bit more great. Chicken has been a staple for us Filipinos and we have tried many things with it, and roasting it is one of them with Pollo Ala Brasa. We have tasted a lot of roasted ones already and this time around, they did it Peruvian style. We have tried Peruvian Chicken from others and we surmised this one would be smelling good while tasting great as this style means using a lot of herbs in this dish. True to form, this dish smelled great with herbs providing flavor. Their rendition is tasty on the outside and juicy inside the meat. Last but not the least is the Mixed Inari. Its your typical sushi in a Japanese restaurant but made different. It's much bigger, so big that it is equal to that of 3-4 Sushi. Definitely you can't gulp these babies in one go. Now we were served the Mixed option. When you order here, you can order depending on your favorite they say. You can have them three all topped with Salmon or Tuna or Shrimp. You can also have an option of having it topped all off with either Black Masago or Roe. 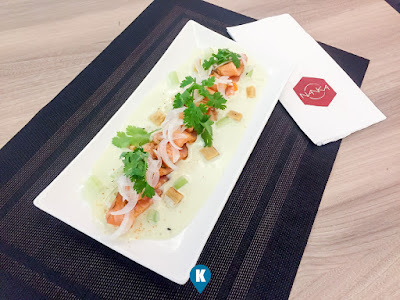 Imagine Salmon Sashimi torched (not cooked) and its smell is powerful enough to arouse your senses over some sauce composed of Wasabi Sour Cream, Tamago and Schimi. Sashimi Pernano are slices of Lapu Lapu (white fish) marinated in Lime, Lemon and Olive Oil. Toasted corn and pumpkin lines the outside of this dish. This one is their Japanese take on the local favorite "kinilaw", a raw fish dish "cooked" with vinegar but herein was replaced with the Lime and Lemon juices. Tuna sashimi usuall is served separate from the soy sauce. 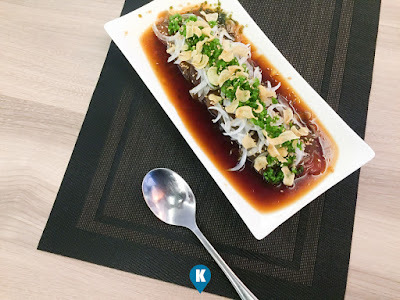 For their take on this usual favorite Japanese dish, they were able to put Tuna Slices on top of Soy sauce, Sesame, Lemon, Scallions and topped with an Onion Salad. A great twist if you ask us. For health buffs, Tofu is a great protein alternative and Nanka has this pegged with Teriyaki Sauce, grated ginger, scallions and garlic chips. What makes this dish pop out aside from the sauce is the way they made the tofu crispy. Yes crispy. 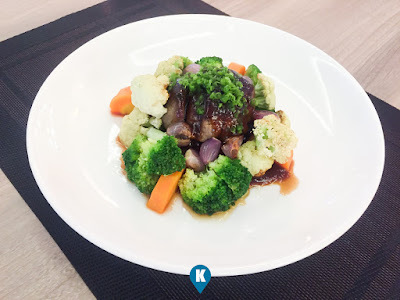 Tenderloin served grilled with a smokey flavor topped and sided with Miso, Jalapeno sauce and grilled vegetables. We ordered ours medium rare so that we might taste the juiciness of the meat and not dry if we asked for well done. To cap off a great lunch, we tried out the Miso Custard. Its basically like a Creme Brulee but made with white chocolate custard with white miso and butter cookie. A great way to top off these dishes with something sweet. Nanka can be found at the corner of Mother Ignacia and Roces Avenue and if you have any other questions, you may find their facebook presence here.